Shame often accompanies emotional struggles. But God’s grace banishes shame and replaces it with forgiveness. Counseling Insights: Emotional Issues provides biblical guidance on troubling emotional issues. Learn how to counsel those dealing with anger, grief, depression, and more. “Fear and Anxiety: Helping People Transform Fear into Faith” from Counseling Insights offers biblical guidance to help you counsel those who want to break free from fear and rest in God’s perfect love. 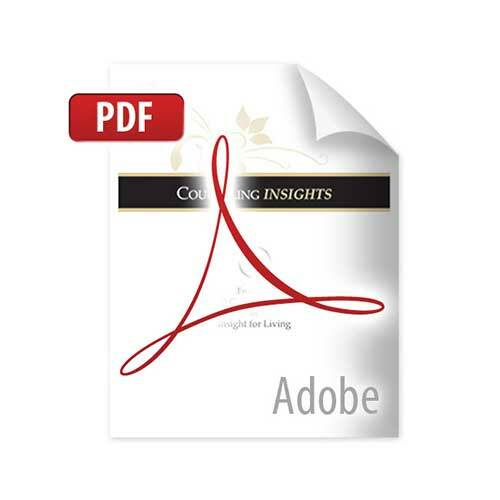 Note: This downloadable document is the fourth chapter from the Counseling Insights section on Emotional Issues. Pain and loss leave people wounded and searching. If you have the privilege of counseling others as they seek restoration, you need Counseling Insights! This resource provides biblical counseling principles on struggles many people face in their homes and churches, as well as in their personal and emotional lives. You’ll experience joy as God works through you!